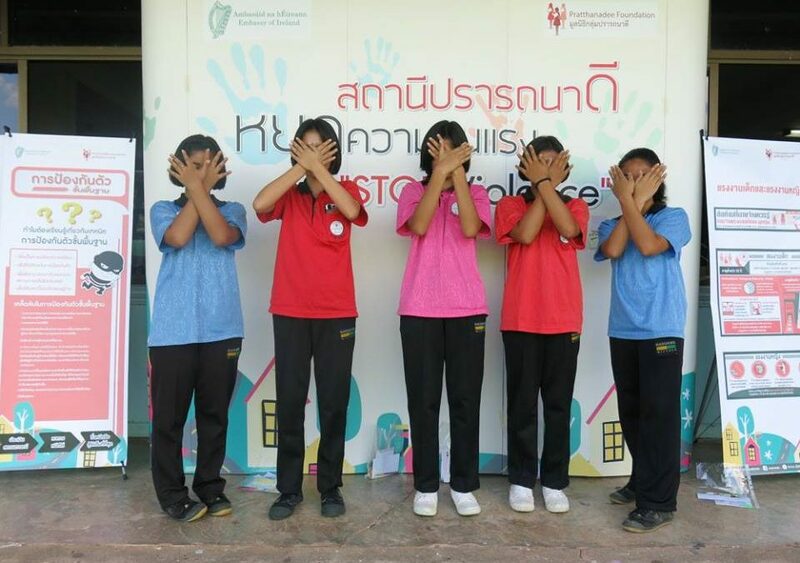 We have developed a mobile kit for educating underprivileged girls about domestic and sexual violence, with support from the In-Country Micro-Projects Scheme from Irish Aid. 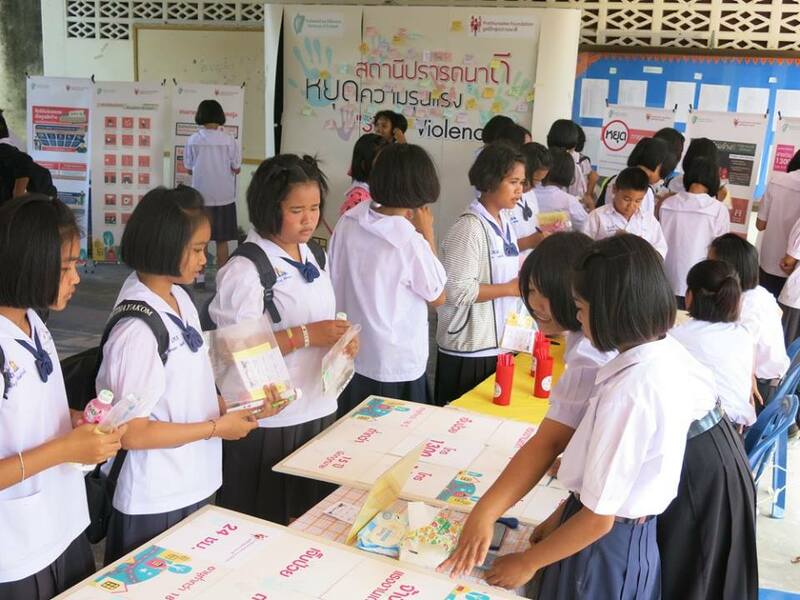 A first for us, the portable kit comprises colourful panels and booths, games, and collateral on recognizing domestic and sexual violence, the rights of women and girls in Thailand, and resources for getting help. 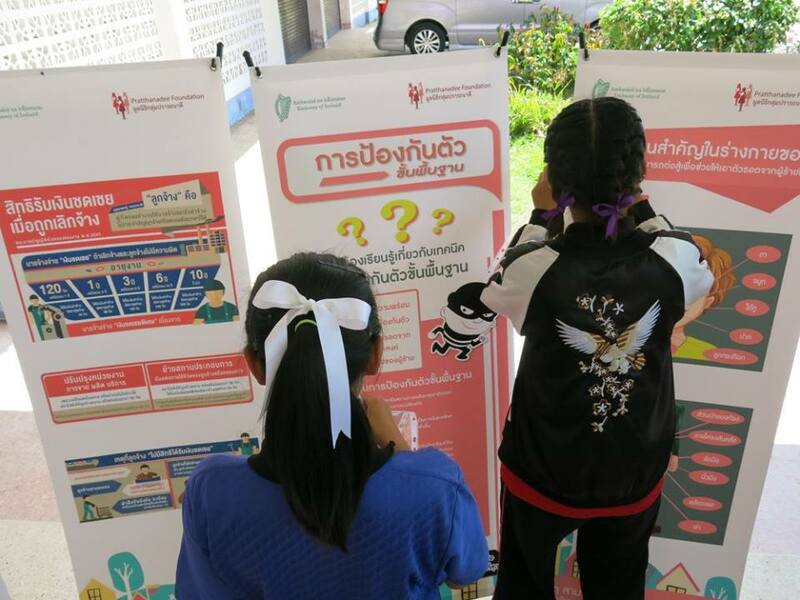 We test-drove the easy-to-setup materials over a number of roadshows in some hard-to-reach schools in Ubon Ratchathani over the last two weeks of November 2017. By the end of the project, we had helped 900 girls in 10 schools gain knowledge and skills to recognise and report sexual or violent crimes. 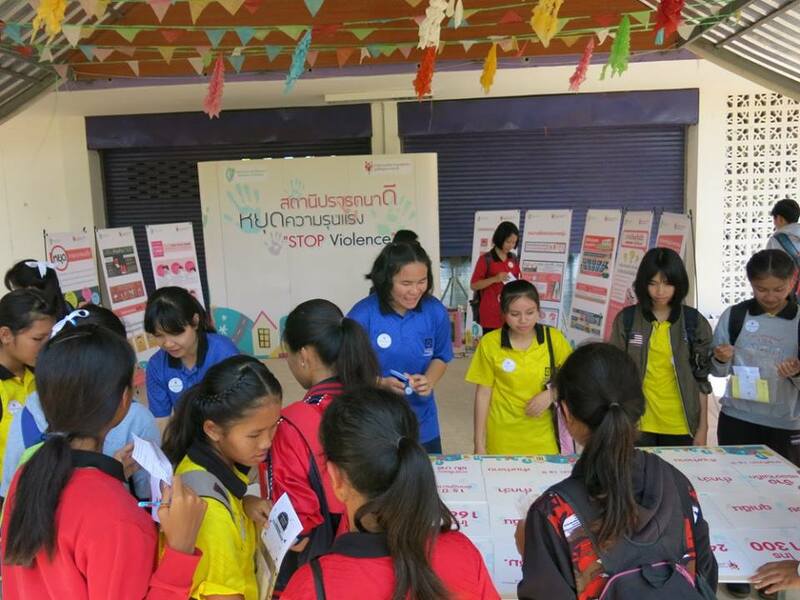 They learnt how to avoid dangerous situations such as predatory social media interactions, unhealthy relationships, and domestic violence, situations they might find themselves in as they move from a rural village to an urban centre like Bangkok. 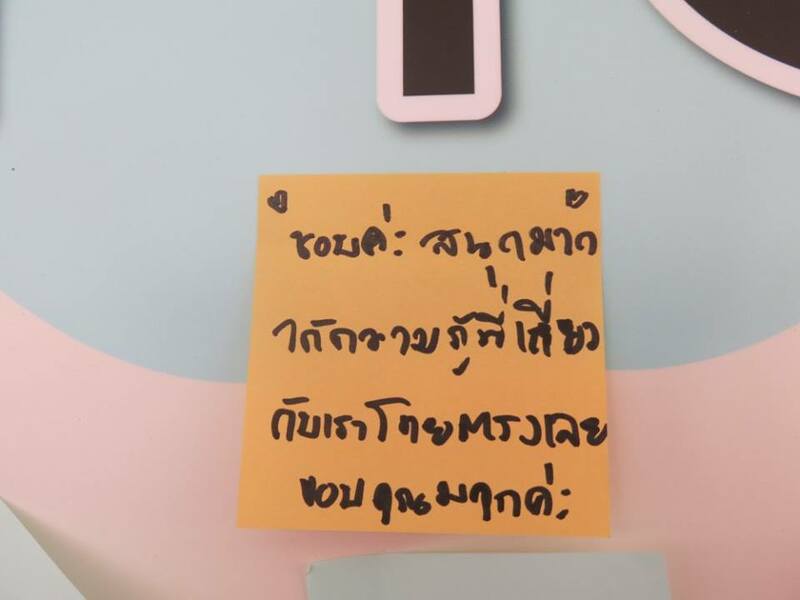 Surprisingly, quite a number of boys had expressed interest in the interactive exhibitions, so we decided to open up the events to them as well. 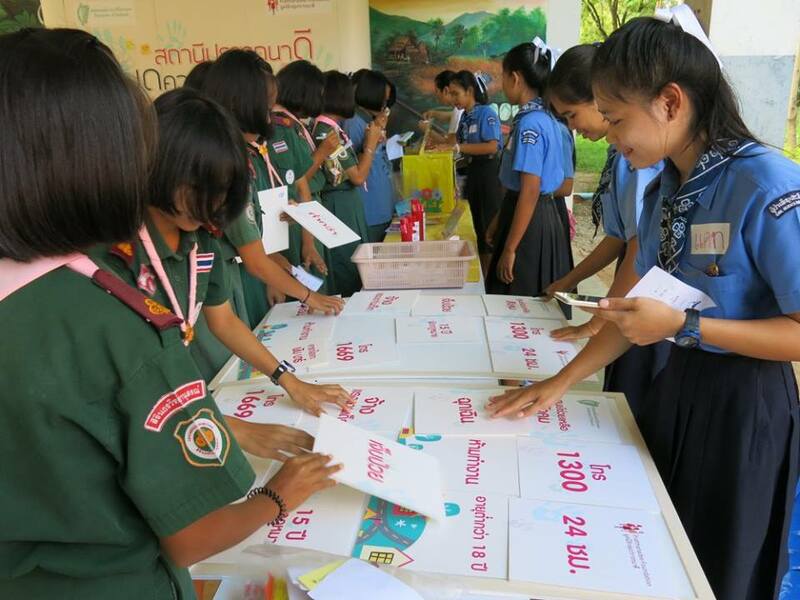 It was encouraging to see some 300 of them taking part, pushing our reach to 1,200 students, which far exceeded our original target of just 700 girls. While we were very happy with the outcome, it was not without challenges. One was the lack of interest. 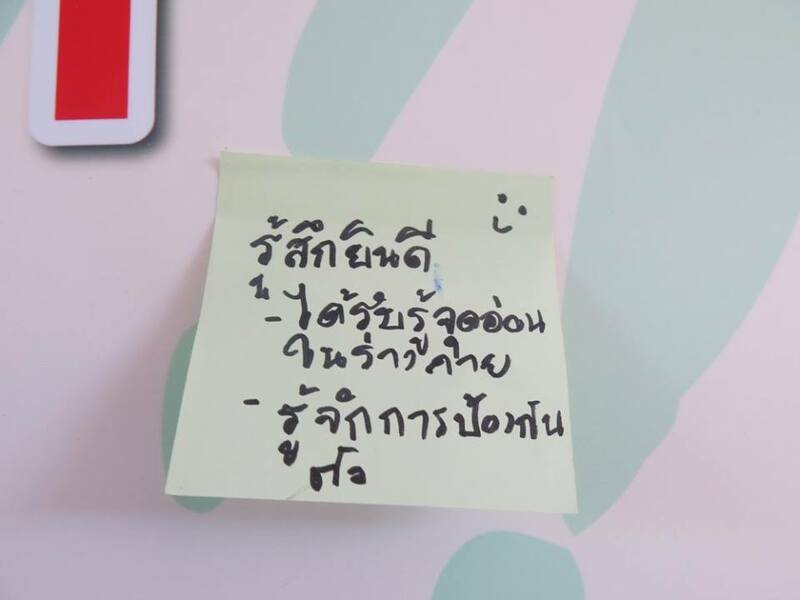 We contacted thirty schools to check their interest but only a third agreed to host us. Not a surprise to us as sexual and domestic violence are often not openly discussed in most Asian societies. So even with the ten schools that signed up, predictably, some were not pro-active in publicizing the events to their charges. Undaunted, we then tapped some students to spread the word among their friends; they were very effective marketing agents as attested by the turnout. If you like what we do and want to support similar impactful projects, you may donate to the foundation. Click here for more information.